Would he not expect us to “drive out the money changers” from the Senate? 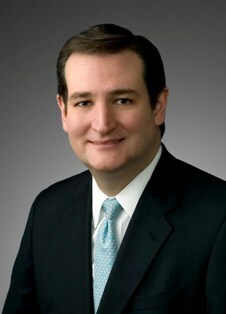 Ted Cruz is totally qualified and prepared to join the young patriots that are already serving in the Senate. Ted will take the fight to the enemy – both foreign and domestic! 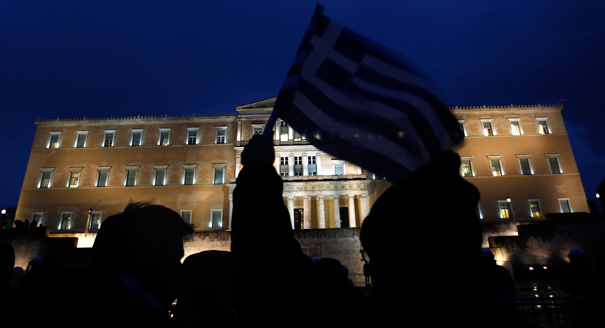 Annual debt payments will soon be larger than the Greek economy, the authors warn. The most important policy imperative in the world today is for the United States to balance its budget. Though the reasons we must do so are economic, the reasons we should are fundamentally moral. Everything our republic means to our citizens, and everything America means to the world – friend and foe alike – depends on our ability to pay our bills and honor our debts. Washington can no longer afford to delude itself or the American people about the threat of the looming debt crisis. Our choice is no longer between a (seemingly) painless status quo and painful budget cuts. The status quo is crumbling. Our course is unsustainable. The Congressional Budget Office has stated it can no longer make long-term budget estimates because our projected level of debt causes the computer models to break down somewhere in the 2040s. These trends aren’t those of a super power in decline, but a banana republic in the making – and a global economic anchor. That’s why last year we co-sponsored a balanced budget amendment that would have, for the first time, not only forced Congress to get control of spending, but bound future Congresses to do the same. We called on Congress to cut unnecessary, and unconstitutional, spending immediately, cap future spending in line with average historical revenues and send a balanced budget constitutional amendment to the states for ratification. As Congress begins a new budget season, we stand by that call. When confronting a fiscal crisis that could bring down our economy — and the world’s! — balancing the budget within 10 years seems a minimal threshold of fiscal seriousness. Eight-thousand new baby boomers turn 65 and qualify for Social Security and Medicare every day. Annual debt interest payments alone will soon be larger than the entire Greek economy — which by itself is bringing Europe to its knees. We no longer have 30 or 40 years to solve this problem. President Barack Obama disagrees. He thinks a 10-year balanced budget is unnecessary, impossible and extreme. As the author of the greatest spending binge in human history, he understandably prefers to change the subject to tax increases and income inequality.But raising taxes on high earners has only accelerated and exacerbated fiscal problems everywhere from Sacramento to Athens. And everyone outside Washington knows that the true inequality crisis in America today is not between rich and poor, but between government and everyone else. A balanced budget will encourage Congress to reorganize the federal government around principles of wealth creation rather than wealth redistribution, and force long-overdue reforms to long-outmoded policies. We have known for decades which systems need reform — the tax code, our entitlement programs, corporate welfare, education, energy and the budget process itself. One generation of political leaders has already failed the meet this challenge – we literally cannot afford another. The facts bearing down on the federal budget are economic — but our choice is moral. The federal government has already spent $15 trillion more than we gave it. What we have to show for it is a broken economy, manipulated by cronyism and oppressed by incompetent regulation. The middle class hanging by a thread. Families and businesses that work hard, play by the rules and live within their means deserve better than to be forced by their own government to bail out the people who don’t. They deserve a new approach that cuts, caps and balances the federal budget, to rescue our economy, restore our prosperity and preserve our freedom. Sen. Jim DeMint (R-S.C.) is on the Joint Economic Committee. Sen. Rand Paul (R-Ky.) is on the Senate Small Business and Entrepreneurship Committee. Sen. Mike Lee (R-Utah) serves on the Joint Economic Committee. Sen. Ron Johnson (R-Wis.) serves on the Senate Budget and Appropriations Committees. Sen. Marco Rubio (R-Fla.) is on the Senate Commerce, Science and Transportation Committee. Facts are curious things……………..I repeat that Dewhurst is the most despicable cretin in Texas politics over the last decade. Even more than Rick Perry. Ted Cruz, Pit of Vipers, and the Council on Foreign Relations member in his family.